Hey beautiful ladies! I have a special treat for you and I know it will bless you. My friend Kristen from Shifting Roots has graciously agreed to be a guest here and share her journey of self care with us. If you have been around here for any time at all, you know I am a huge advocate for self care, so I was thrilled when she told me what she had in mind. Thanks so much, Kristen! During the last week of every year I like to take some time for myself and map out my goals for the year. I try and take in to consideration how many events we have scheduled, what our financial situation looks like, and what our families are going to need from us. My first instinct is always to say yes to every opportunity that comes my way, and I never think about the personal cost. This has gotten me in a lot of trouble. Overstressed, over scheduled, and over worked used to be my mantra. The first week was hard. I felt really guilty taking the time my son was in pre-K to exercise, shower, put on make-up, and choose an outfit that I felt good in. I’m so used to neglecting exercise, going bare-faced (not that that’s a bad thing! ), and slapping on whatever is clean, that taking care of myself in that simple way felt selfish. My inner critic was working overtime, telling me that I would never get my work done, and the house would be in shambles. Oddly enough, I was more productive than ever. I couldn’t believe how making time for me left me with reserves to actually knock off my to-do list. New way of life=found! I also started being okay with taking time at night to relax with my husband instead of furiously sending off emails or trying to work on blog posts. (I’m a freelance music teacher, so I work at odd hours to begin with and try to cram in admin tasks whenever I can.) Again, I still managed to get everything done in the same amount of time and felt happier and saner. This new way of life was great, until things got complicated and my grandma that I had been taking care of got sick and died. I was immensely grateful that I had the kind of job flexibility to tell my students that I would see them in two or three weeks and would either refund them or make up the lessons. I was able to be with her in her last days, which I know meant the world to her. When I got back to real life, it was time to play catch-up. At first I kept on with my self-care routine, but I felt like I was falling further and further behind. Every time I thought I was maybe getting a handle on my obligations, I realized I forgot about at least 5 more. Self care had to go. I decided that for one week I just needed to get things done and I would sort out self care later. The funny thing was, I still felt really behind that week even though my to-do list was shrinking. I was also short-tempered with everyone and felt deprived. You know that state we sometimes get into as wives and mothers, where it feels like we’re the only person who does anything, ever? I was there, and it wasn’t a pretty place to be. Friends, I get that self care can seem selfish in the face of a pressing to-do list. We’re all overwhelmed with a multitude of responsibilities and we want to be everything to everyone. If we don’t take care of ourselves, who will? Self care doesn’t have to be extravagant. Mine is exercise, wearing make-up and a nice outfit, taking at least 30 minutes in the evening to unwind, and sleeping with a warm magic bag to help my sore muscles. Sometimes I buy myself flowers, or accept that I’m burned out and could use a Netflix binge. What you do for self-care isn’t as important as finding something that makes you feel taken care of. No need for trips to the spa if you can’t afford it! Although a spa-at-home day would make for some really nice self-care time. 1. Use a special shampoo or conditioner that you love the smell of. 2. Read a book for 10 minutes every night before you go to bed. 3. Wear a new shade of lipstick that makes you feel confident. 5. Actually use some of those scrubs and lotions that you’ve been gifted. 7. Start your day with 10 minutes of devotional time and prayer. 8. Make yourself a nice lunch that you’re actually excited to eat. 10. Have your cup of coffee in your backyard. Self-care doesn’t have to be complicated or expensive. Whatever you do, make sure you practice it daily to be the best version of yourself. 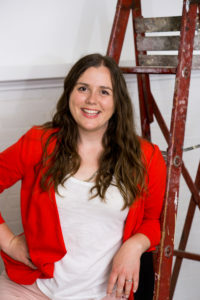 Kristen Raney is the writer behind Shifting Roots, a blog dedicated to making life beautiful, one project at a time. You can find her on Facebook and pin with her on Pinterest. #1 is such a great mood booster for me too. I also like to celebrate my “done” list, rather than focus so much on my “to-do” list during self-care time. “If we don’t take care of ourselves, who will?” So true! As women, it’s always easy to give into our tendency to put others’ needs first. Taking time for self-care helps you be there for your loved ones more fully. I’ve recently started buying myself flowers and it makes such a difference in my day to see those bright colored blooms. It’s a good reminder to me that I can take care of myself! These self-care tips are totally doable! I find myself always skipping my self-care and then I am tired and grouchy! I do try to read for at least 10 minutes every night…and not something by Eric Carle! These are wonderful tips because you are so right if we do not take care of ourselves, who will? Yes! I have had some hard times lately and my pastor, yes pastor, lectured me about doing some self care. He reminded me, taking care of myself needs to happen. Not included in the article: I had a dentist appointment and realized as I was sitting on the chair that it was the most relaxing part of my day. I feel you. 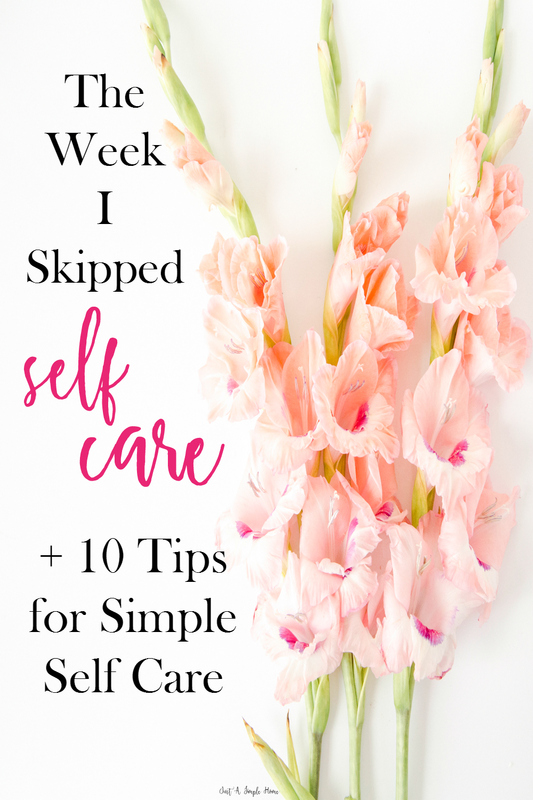 I blog about self-care and I’m always urging others to take it up! Self-care should never be an option. Thank you for this! Thanks for all the love, friends! Thanks again Terryn for letting me guest-post on your beautiful blog! Thank you so much, Kristen! I’m so glad you did! Skipping self care is always such a mistake! I always get so much more stressed out when I don’t take that few minutes by myself!